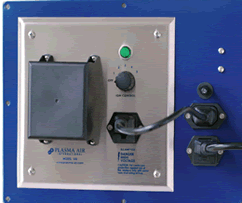 Application: A convenient method for powering and mounting a model 100 or 200 ionizer. Equipped with an integral pressure switch which closes at 0.05 Inch WG. Unit is mounted directly to metal duct with sheet metal screws and ionizer is mounted to unit with machine screws.